One of the eight nominees for Oscar’s 2014 Best Picture, The Imitation Game looks at noted British mathematician Alan Turing. We view Turing at three different stages of his life: 1928, 1939 and 1951. 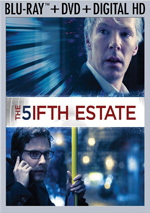 The film starts in the latter period, where Turing’s (Benedict Cumberbatch) home gets burgled. As part of the investigation, Detective Robert Nock (Rory Kinnear) finds suspicious elements in Turing’s life and he digs into these. From there we head to 1939 and see Turing during World War II. The Germans use a device called “Enigma” to send encrypted messages, so the Brits toil to find a way to decode these. A skilled mathematician, Turing works with others to solve the puzzle, and Turing tries to create his own machine to do the task. In addition, we flash back to 1928 to see Turing (Alex Lawther) as a schoolboy. We see his struggles to fit in with his classmates as well as his close friendship with a boy named Christopher Morcom (Jack Bannon). The movie ties together these three eras/threads, with an emphasis on Turing’s life and work during WWII. When we look at the 2014 Best Picture nominees, two of the least conventional films got the most critical attention. BP-winner Birdman played with editing and narrative in unusual ways, while Boyhood became known for its 12-year production schedule. While I admired the daring aspects of both Birdman and Boyhood, I can’t claim I thought either seemed especially satisfying. On the other hand, Imitation takes a much more conventional path but offers more enjoyable results. It may not break with tradition for this kind of film, but it does what it needs to do to bring us an involving tale. In particular, Imitation manages to handle the varying time periods well. As it flits from 1928 to 1939 to 1951, it could easily become a mess, but it stays clear and concise as it goes. The movie binds the different periods in a logical manner that allows us to stay with the tale and not become confused. Imitation also boasts a surprising level of tension given that we know how most of the story threads will conclude. Actually, I don’t know how many viewers will be aware of what happens to Turing in the tale’s later stages, and most seem likely not to know much about schoolboy Alan. I feel pretty sure that the vast majority of those who sit down to check out Imitation will know that the Allies beat the Germans in WWII, though, so that side of things shouldn’t enter “spoiler” territory. Despite our foreknowledge of this part of the film, it develops along a path that manages a lot of intrigue. We might know where the narrative will end, but Imitation creates a terrific ride along the way. Much of the credit goes to the depiction of the characters and the actors’ portrayals of them. Cumberbatch has become a reliable cinematic presence, and he does well as the adult Turing. Cumberbatch gives Turing a slant along the autism scale that makes sense, but he doesn’t overdo the tics and mannerisms. Cumberbatch neither turns Turing into an annoying prat nor a cutesy little oddball ala Dustin Hoffman in Rain Man. As colleague/semi-love interest Joan Clarke, Keira Knightley adds humanity to the film. She gives Turing a chance to warm up a bit and offers the audience an avenue to embrace him. Like Cumberbatch, Knightley keeps her performance on point and doesn’t beg the audience to love her. I also think young Alex Lawther does quite well as the schoolboy Turing. He gets arguably the biggest emotional arc of the various characters and plays the role in a dramatic, heartbreaking manner. While the 1928 scenes could turn into a gimmick, they add emotion and depth to Turing, largely because of Lawther’s fine performance. As I mentioned earlier, you’ll find no groundbreaking cinema in The Imitation Game, but I don’t regard that as a flaw. It offers a thoroughly well-made period drama that musters a lot of entertainment along the way. The Imitation Game appears in an aspect ratio of approximately 2.39:1 on this Blu-ray Disc. At all times, this became a terrific presentation. Sharpness consistently pleased. If any instances of softness materialized, I didn’t see them, as the movie always looked tight and accurate. I witnessed no shimmering or jagged edges, and the movie lacked edge haloes or source defects. Most period pieces like Imitation Game opt for an amber feel, but not this one – it dared to be different with teal! I wasn’t wild about that choice as a stylistic decision, but I couldn’t fault the reproduction of the hues, as they came across well. Blacks were deep and dark, and low-light shots offered smooth, clear elements. All aspects of the image satisfied. As for the film’s DTS-HD MA 5.1 soundtrack, it seemed more than capable for a character drama such as Imitation Game. Due to the war elements, the mix managed to open up on occasion and use the five speakers in an involving manner. For instance, a scene with planes, ships and submarine delivered a nice sense of place and action. Various explosions also boasted serious bang. However, those moments remained fairly infrequent, as the majority of the film focused on dialogue and general atmosphere. This left us with a mostly unambitious soundscape, which was fine with me. A movie like this didn’t need a dynamic soundfield, and the end result created a good feel for the settings. Audio quality appeared pleasing. Music was lively and lush, while speech appeared distinctive and concise. Effects showed good clarity and accuracy, with nice low-end when necessary. I felt the audio suited the story. As we shift to extras, we open with an audio commentary from director Morten Tyldum and writer Graham Moore. Both sit together for a running, screen-specific look at story/script/character areas, cast and performances, sets and locations, production design and period details, historical elements, music, visual effects, and related topics. Overall this becomes a good commentary. Tyldum and Moore occasionally indulge in too much happy talk, but they still offer a useful array of details about the movie. They mostly stay on topic and turn this into an informative enough piece. During the 22-minute, 44-second Making of The Imitation Game, we hear from Moore, Tyldum, biographer David Leavitt, author Walter Isaacson, producers Teddy Schwarzman, Ido Ostrowsky and Nora Grossman, composer Alexandre Desplat, and actors Benedict Cumberbatch, Matthew Goode, Allen Leech, Charles Dance, Mark Strong and Keira Knightley. “Making” looks at the facts behind the movie’s story and characters as well as cast/performances, music and overall thoughts. “Making” seems pretty general and doesn’t do much more than tell us some basics. It’s watchable but not especially insightful. Two Deleted Scenes come next. We get “Nock Is Being Followed” (2:17) and “Nock Discovers Alan” (1:33). Both take place in the 1951 parts of the film and deal with the police detective who addresses the break-in at Turing’s flat. The former tells us how Detective Nock gained access to Turing’s classified file, while the latter expands on the movie’s conclusion. “Followed” is the better of the two and probably should’ve made the final cut, as it explains a scene that seems confusing. Q&A Highlights compiles chats from a variety of screenings/settings. In the 29-minute, 11-second piece, we locate comments from Tyldum, Moore, Cumberbatch, Knightley, Schwarzman, Cumberbatch, Knightley, Ostrowsky, Grossman, costume designer Sammy Sheldon Differ, music supervisor Lindsay Fellows and production designer Maria Djurkovic. We get some basics about the project’s development, story/characters, cast and performances, costume and production design, and music. Most of the useful details emerge toward the end, as that’s where we hear about music, costumes and set design. The prior elements have some merit but seem more generic and redundant. The disc opens with ads for Philomena and The King’s Speech. No trailer for Game shows up here. Probably my second-favorite of Oscar’s 2014 Best Picture nominees, The Imitation Game presents an involving drama. It covers an array of eras, characters and situations with aplomb and keeps the audience interested the whole time. The Blu-ray delivers excellent visuals as well as satisfying audio and a mostly informative set of supplements. 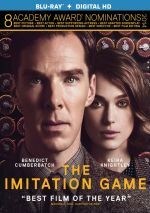 Imitation Game presents a professional and engaging historical drama.